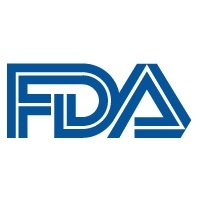 The US Food and Drug Administration (FDA) approved lifitegrast ophthalmic solution (Xildra/Shire US) for the treatment of signs and symptoms of dry eye disease. The product is the first in a new class of drugs called lymphocyte function-associated antigen 1. The treatment restores patients' ability to produce normal tears. The chance of experiencing dry eye increase with age and affects about 5 percent of adults ages 30 to 40 and 15 percent of adults over age 65. It is more common in women. Untreated the condition may to lead to pain, ulcers, and corneal scarring. According to the FDA, the safety and efficacy of Xiidra was assessed in over a thousand patients, in four separate, randomized, controlled studies. These studies included patients 19–97 years of age, of which the majority were female (76 percent). Patients were randomized equally to receive either Xiidra eyedrops or placebo eyedrops, which were used twice a day for twelve weeks. The studies found that groups treated with Xiidra demonstrated more improvement in both the signs and the symptoms of eye dryness than the groups treated with placebo.